Who did the judges choose as winner of the Pianist 2018 Composing Competition? Congratulations to Daniel Edwards from Woolwich (pictured below), winner of our 2018 Composing Competition. Daniel was alerted to the competition by his friend James Robinson, who won a Korg digital piano from the competition in Pianist 98. Like James, he is a member of the Countess of Wessex’s String Orchestra, a unit in the Corps of Army Music which performs at investitures, State Banquets and other events at Buckingham Palace. ‘I got my inspiration for Brompton Square Waltz from my favourite writer, E F Benson,’ says Edwards. Benson himself lived in the London square, and he gave the address to Lucia in his much-loved series of Mapp and Lucia novels. The piece combines jazz and classical idioms with ‘lots of 9ths and 11ths’, adds 25-year-old Edwards, who is studying for a diploma in composition at the London College of Music. A cellist in the orchestra, he wrote the waltz over the course of a fortnight before playing it through to a pianist friend. Edwards also receives a Kawai Concert Artist Digital Piano worth £2,000. The competition’s runner-up was Canadian Andrea Neustaeter for her evocation of November Fire. Both pieces will be recorded by Chenyin Li for the covermount CD and published in a future issue, along with a feature on the competition. 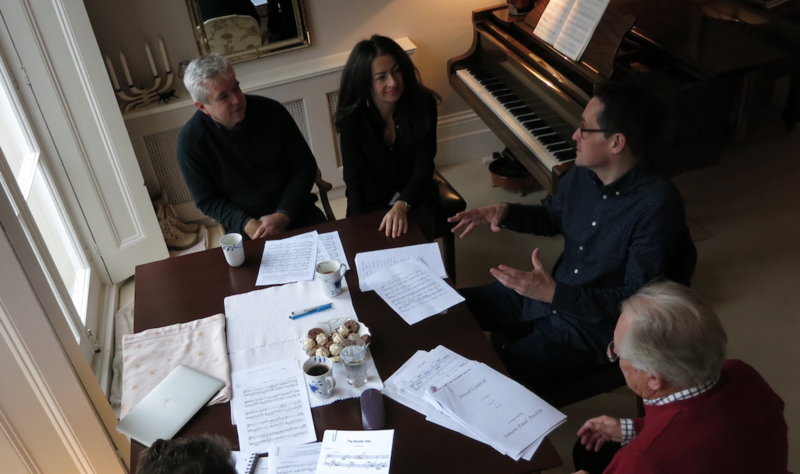 The finals judging day took place in early January (main picture), featuring our esteemed panel of judges Matt Ash (from Kawai), John Kember, Nigel Scaife and Pianist’s editor Erica Worth. Huge thanks to those who entered the competition (over 80 entrants in fact), who ensured a high standard and a tough day of decisions! The next composing competition (with a twist) is now OPEN! Click here to enter.